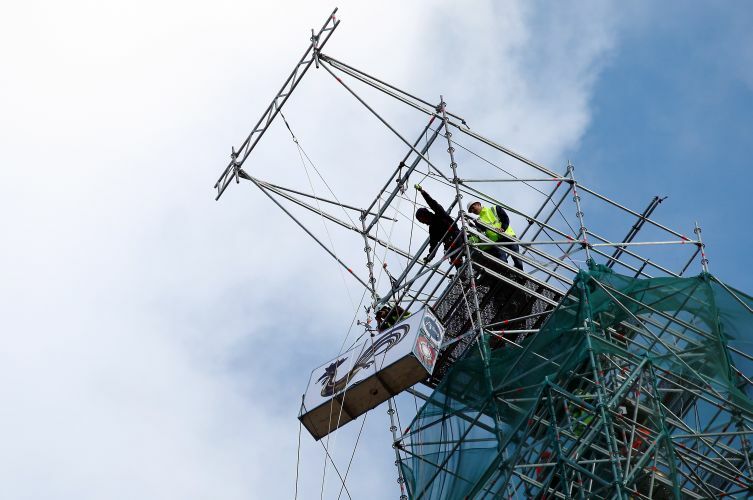 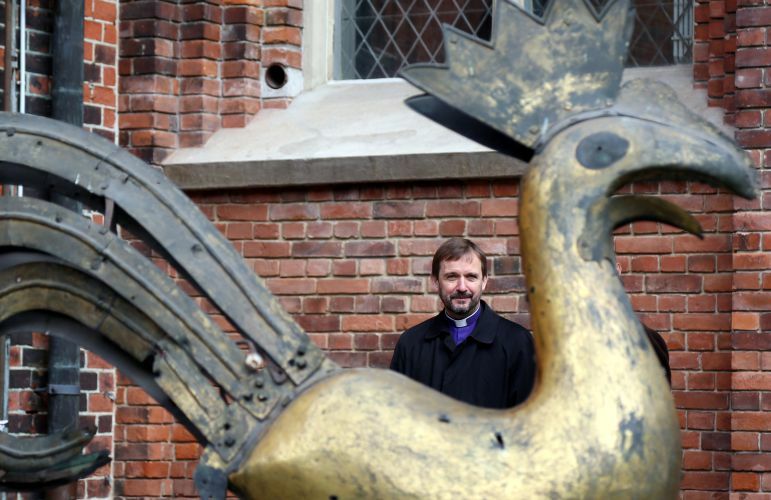 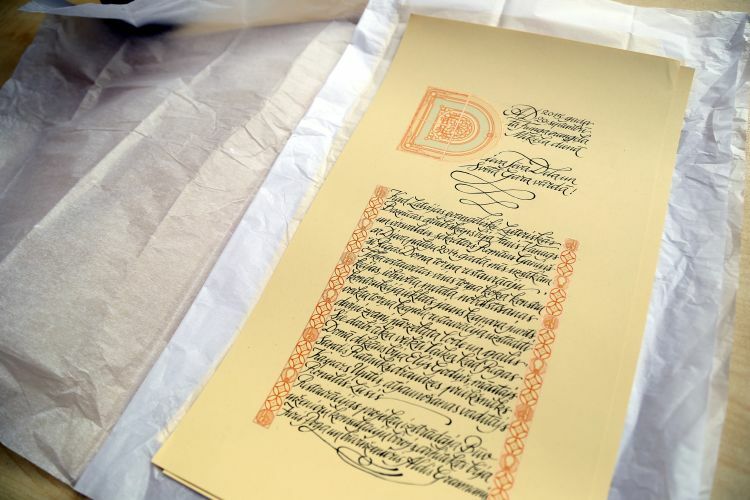 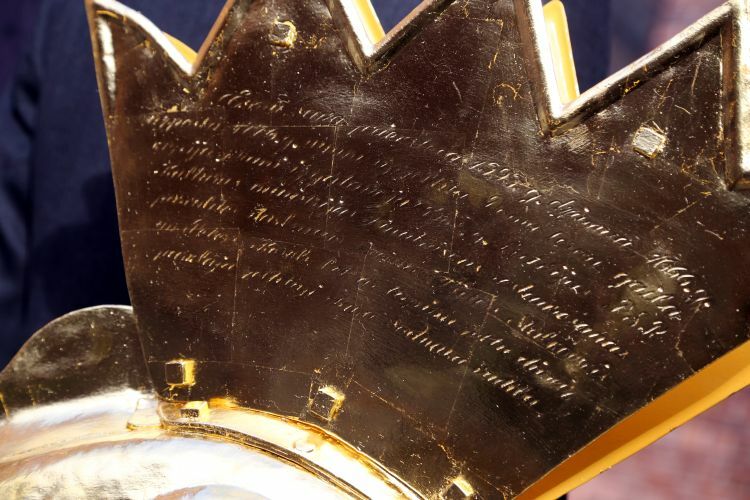 The golden cockerel taken off Riga Dome Cathedral’s spire for restoration on 25 August finally returned to his rightful place on Tuesday, 29 September. 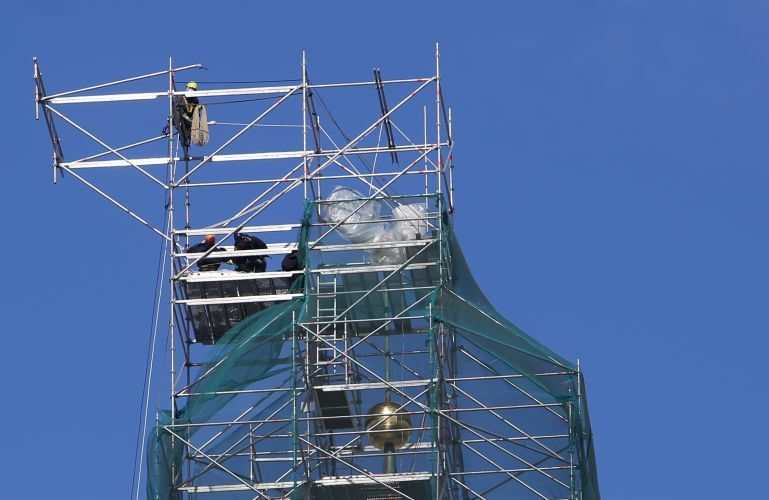 The restoration project currently carried out in Riga Dome Cathedral did not provide for any work on the spire of the tower. 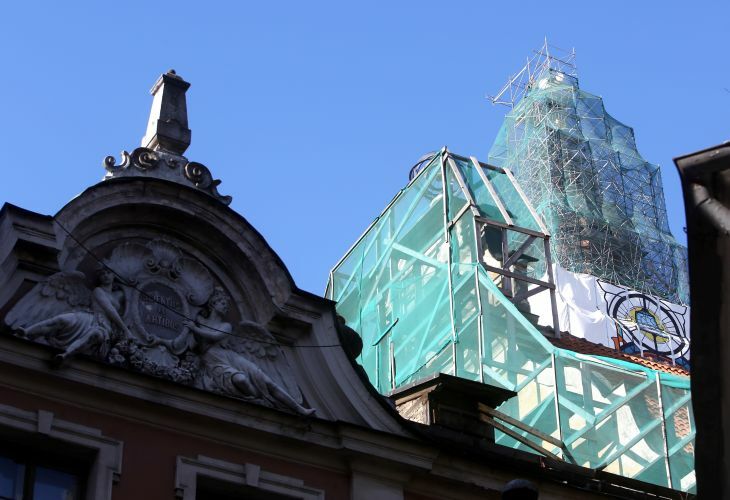 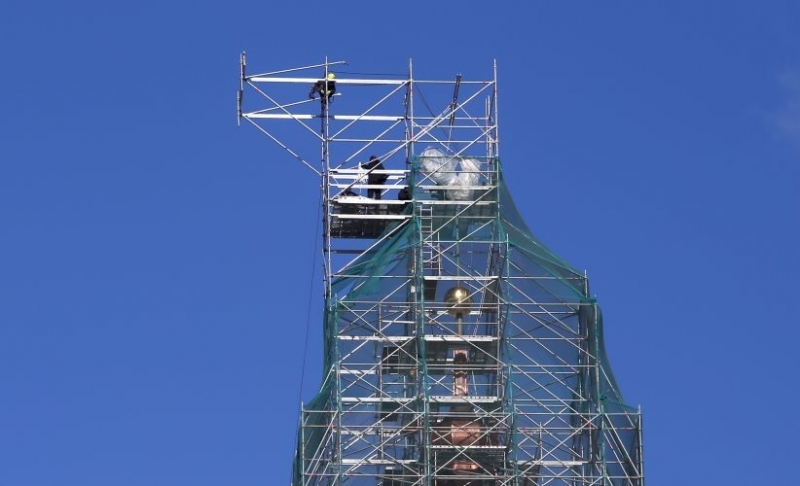 Nevertheless, it was decided during the process to use remaining resources and restore the look of the dome of the tower, so that one of Riga’s most recognizable symbols is brought back into shape, as reported by Arčers construction company, which has been carrying out restoration work in Riga Dome Cathedral since December 2014. 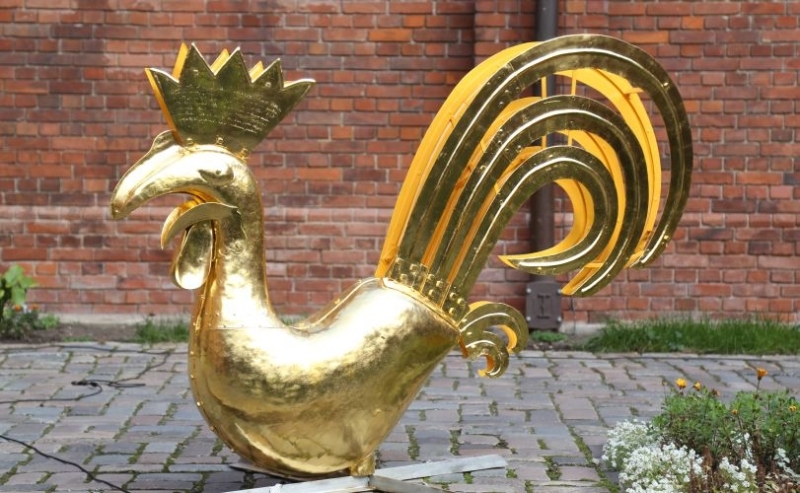 Restoration of the original look of the cockerel and gold casing was carried out by Būvuzņēmums Restaurators.